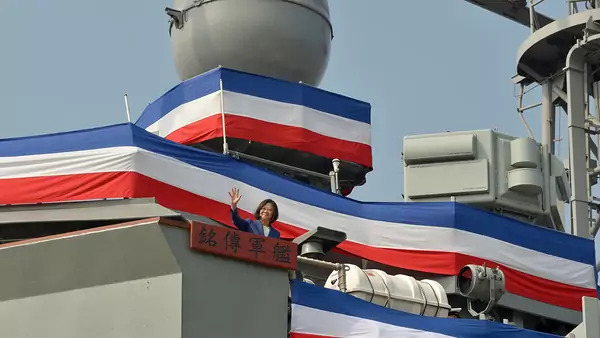 For three months in a row this year, U.S. military ships have sailed through the Taiwan Strait, seen as a show of support for Taipei and a challenge to Beijing. They are just one aspect of Trump administration’s backing for Taiwan, and combined with China’s more aggressive approach to the democratic island, many analysts fear a cross-strait crisis. Meanwhile, the Trump administration is said to be encouraging Taipei to purchase dozens of F-16s, a sale that, like other major arms deals, would require congressional approval. The last time the United States sold these fighter jets to Taiwan was 1992. If the sale goes through, it would mark another departure from the Obama administration, which declined to sell the jets to avoid escalating tensions with Beijing. But experts say a sale would be put on hold until after the United States seals a trade deal with China. Aside from military contacts, President Donald J. Trump has bolstered Taiwan through other measures. After the 2016 election, for example, he talked to Taiwanese President Tsai Ing-wen on the phone in what was believed to be the first time a U.S. president or president-elect spoke directly with a Taiwanese leader since at least 1979. In 2018, the United States unveiled $250 million worth of upgrades to a de facto embassy in Taipei despite Chinese objections. While the Trump administration is taking more assertive steps than those of his predecessors, its arms sales to Taiwan are thus far nothing remarkable. The United States has sold military equipment to Taiwan since 1979. That year, as President Jimmy Carter severed formal diplomatic ties with the island and formally recognized China, Congress passed the Taiwan Relations Act, which is the basis for Washington’s relationship with Taipei and includes the provision of arms for Taiwan’s self-defense. The law does not require the United States to defend Taiwan if China attacks, but it also doesn’t rule it out—a policy known as strategic ambiguity. Since then, the United States has followed through on its commitment to support the island’s defenses, with Taiwan ranking as one of the top importers of U.S. arms [PDF] in recent years. During his first term, President Barack Obama signed off on two major packages, totaling about $12 billion [PDF]. President George W. Bush approved nine arms packages, worth approximately $5 billion, during his first term. Trump has announced two major military sales to Taiwan. The first, approved in June 2017, was worth $1.4 billion and included advanced missiles and torpedoes. It also provided technical support for an early-warning radar system. In October 2018, a second arms package, worth an estimated $330 million, was approved. The clouds over Taiwan have grown darker in recent months. In January, Chinese President Xi Jinping said Taiwan must be unified with the mainland and urged Taipei to embrace the 1992 Consensus. It states that there is only “one China” and Taiwan belongs to it but allows different interpretations of which is the governing entity. China “will not rule out the use of force” against foreign intervention, Xi said. Tsai reiterated that her government will never accept the “one country, two systems” model and defended the democratic island’s sovereignty. The worrisome China-Taiwan tensions come as the U.S.-China relationship has deteriorated, with the two rivals engaged in major disputes over trade and technology and jostling for power in the western Pacific. During this week’s North Atlantic Treaty Organization (NATO) meetings in Washington, threats from China reportedly featured more prominently than ever before.